In this rare interview, Professor Jürgen Habermas speaks about the philosophical role of religious traditions in secular modernity and the prestigious awarding of the 2005 Holbergprisens (The Holberg Prize). 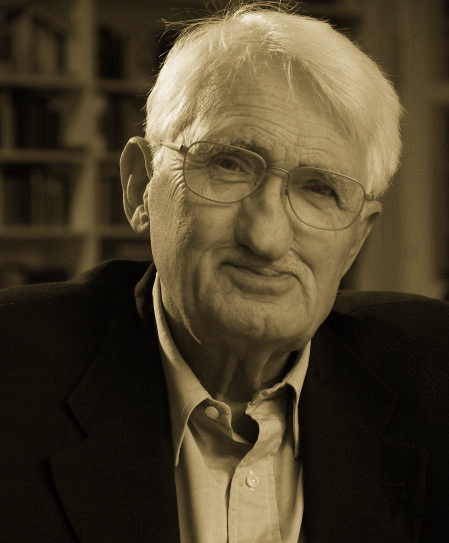 In the interview, Professor Habermas argues that modern society depends on not only the perpetuation of new technologies but also on the critique and the subjective reinterpretation of its built-in religious and moral traditions that give secular society its meaningful political and social orientations. Click here for the remainder of my summary. Click here for the video interview. The contents of the Site are intended for noncommercial and academic use. ©Integrating Horizons reserves the right to delete any comment(s) that are derogatory and misogynistic.